covered porch with picnic table and a starter supply of fire wood. A small, two-story, 2-bedroom cabin with the kitchen, dining room, bathroom, and living room on the 1st floor and the bedrooms upstairs. It is a rustic cabin with wood floors, but offers all modern amenities. The upstairs has one large loft area with three full-sized beds and a private section of room (often referred to by our guests as “The Honey Moon Room”) with one full-size bed. 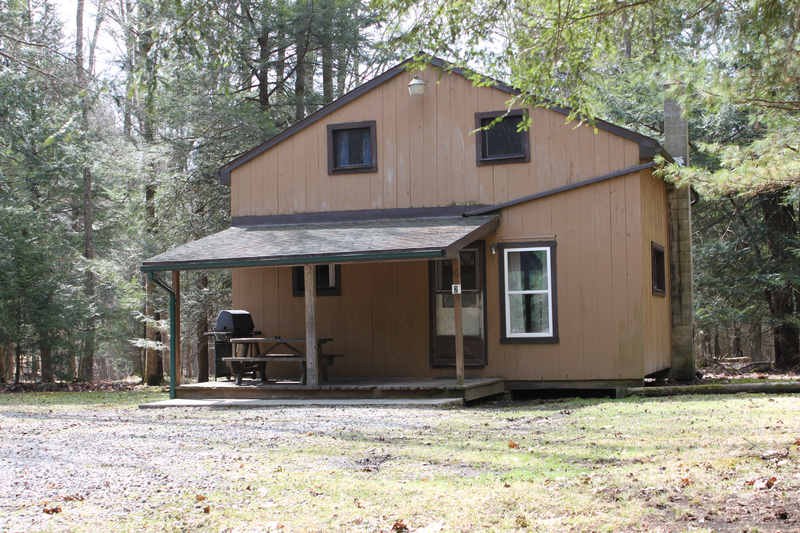 Cabin is located at the end of a short lane with level wooded yard and gravel fire-ring. 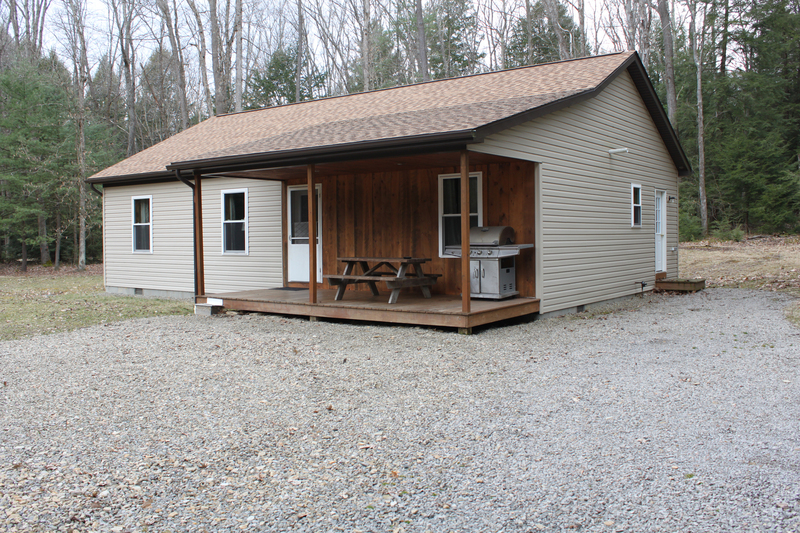 Built in 2014, this 3-bedroom, 2-bath cabin with an open floor plan is perfect for family entertainment. This cabin does not have a fireplace, but it’s vaulted wood beam ceiling and wood accents give it a rustic charm. It is a heated cabin open year round and offers our easiest winter access. 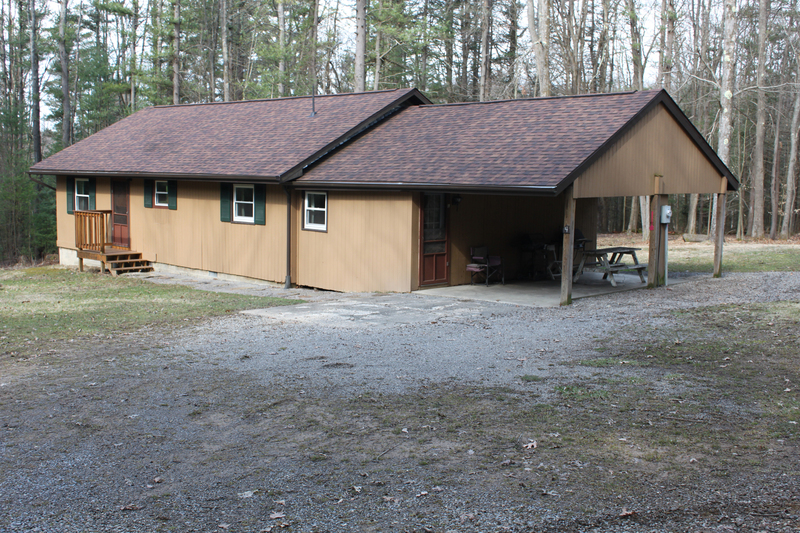 With a level driveway, it is a great cabin for families with young children or family members that have mobility impairments. All interior and exterior doors are large enough to accommodate a wheelchair. Cabin has a very nice, level-wooded yard with a gravel fire-ring area.